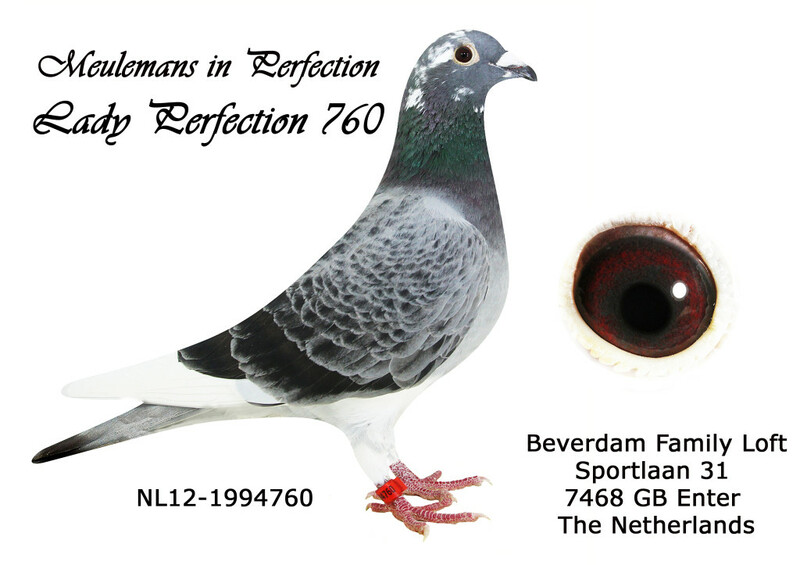 NL12-1994760, LADY PERFECTION 760, superb Meulemans hen from the foundation pair NL08-5823607, Mr. Perfect 607, sold to China 2013, superproducer and son of Stardust and Browny II. 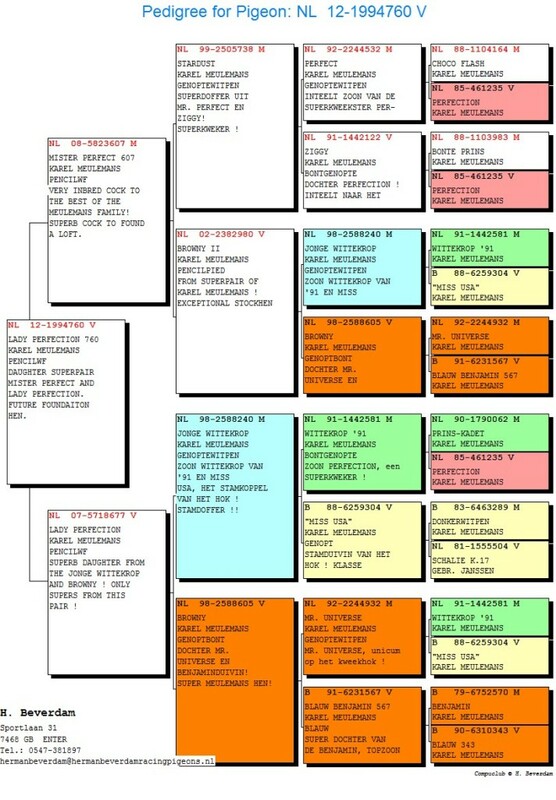 Dam is NL07-5718677, Lady Perfection, exceptional producer super inbred to the best of the Meulemans family, sire is Jonge Wittekrop and dam is Browny. Total inbred hen to the best ever to come from Karel Meulemans loft. To found a loft.